Animal alphabet letter posters with a white background! New letter posters online in the 'Designed By Wilma' shop! 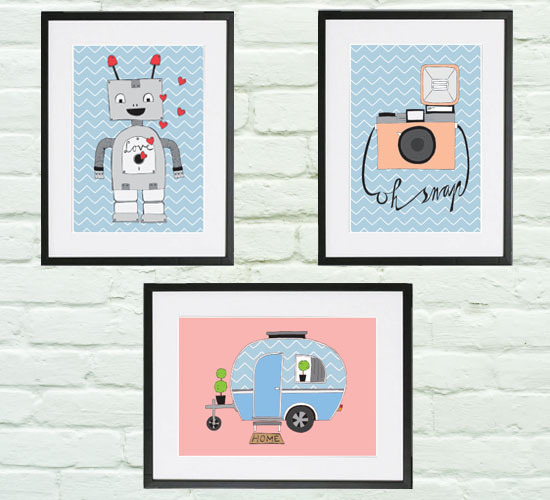 New in the shop: illustration prints! I added some new prints to the shop. Illustrations this time! I will make more in the near future. Take a look at the Designed by Wilma Etsy shop! 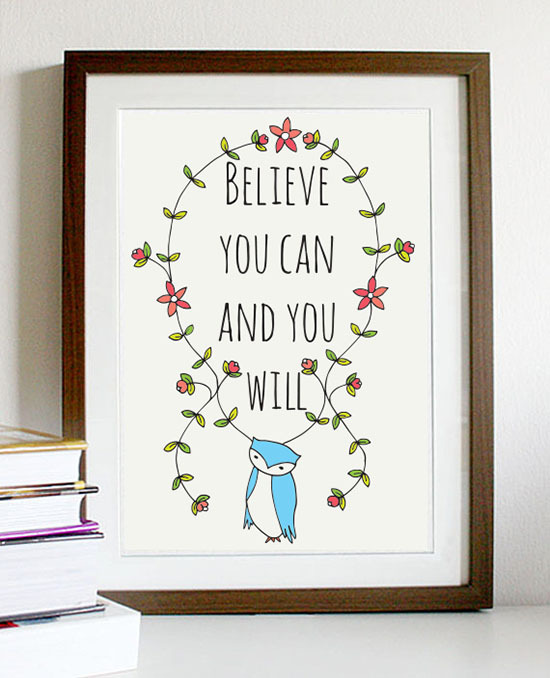 Designed By Wilma – Etsy shop online + giveaway!! I proudly present to you my new Etsy shop! Lately I’ve been working hard on these prints and I really love how they turned out. I wanted to do something with quotes because they inspire me. I now have fifteen inspirational quotes surrounded with my artwork online. All posters are printed on 160 grams A3 (11.7 × 16.5 inch) paper and are signed and dated. Of course this new Etsy shop comes with a giveaway. 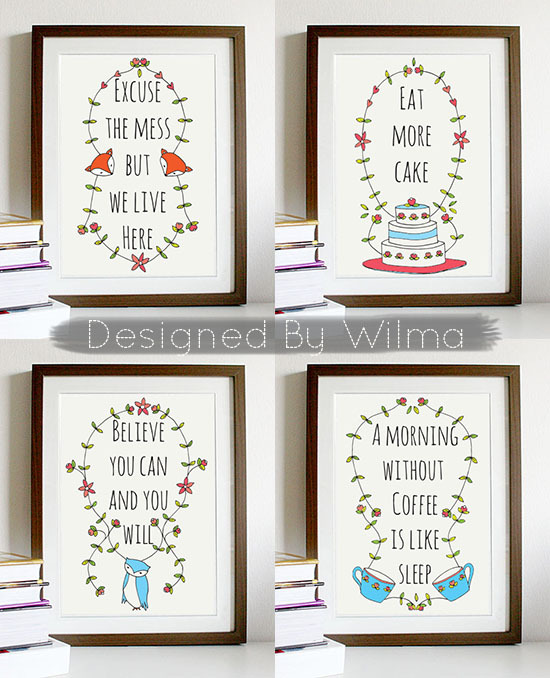 I’m offering two lucky readers a print from the “Designed By Wilma” Etsy shop!